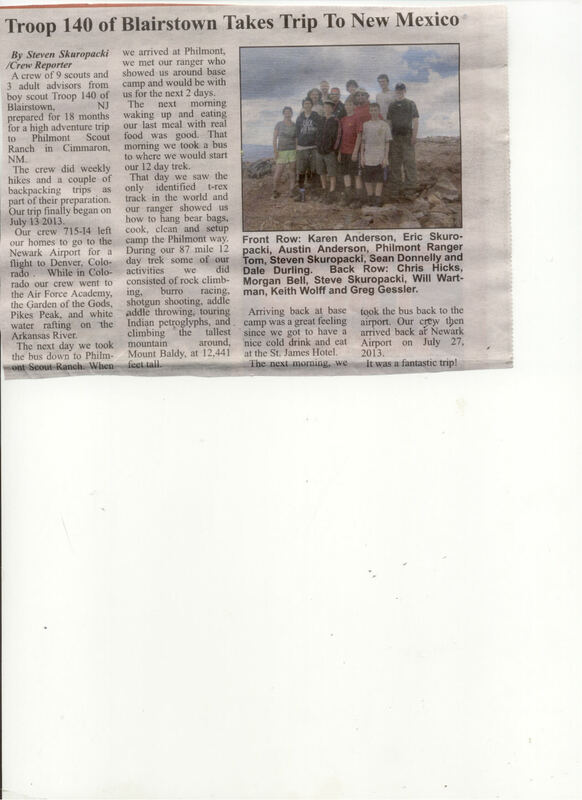 Feedback from previous crews is a valuable resource for the following year's crews. 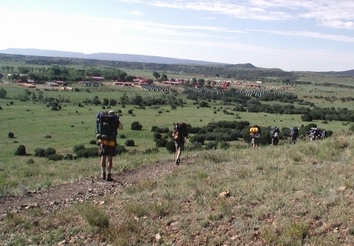 This page is a centralized location to contain the Philmont experience each has as documentd by the Crew Reporter. Contributions from Patriots' Path crews should be sent to webmaster@watchu.org. 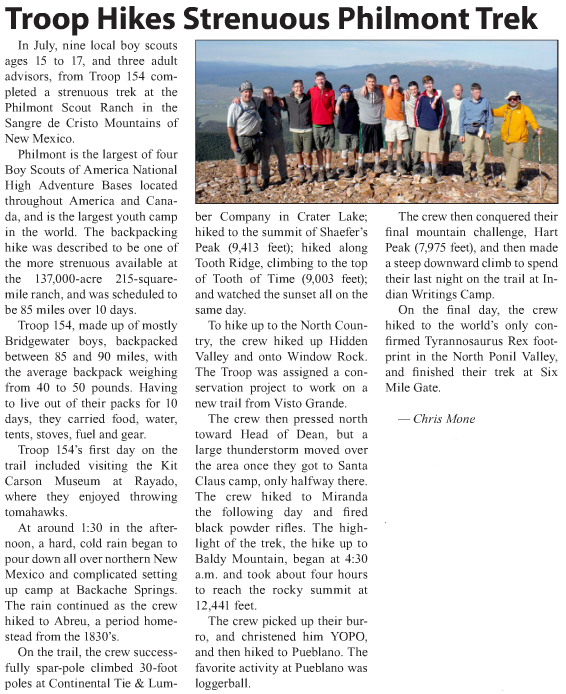 Any Crew Reporter who submits an article to a local newspaper on their Philmont experience and has it published should let us know. Just send us a copy or a link to your article at srb@cbsnews.com. You, and a guest of your choosing, will then be invited to a FREE tour of the CBS Broadcast Center in New York City.